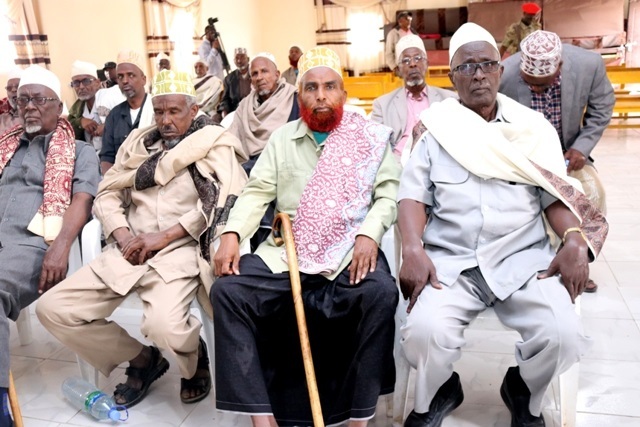 El-Afweyn (ANN)- The Academy for Peace and Development (APD), Somaliland’s only Research Institute has played a lion’s share for the recently culminated reconciliatory talks of the two brotherly communities in El-Afweyn district in Sanaag Region. The month-long reconciliatory talks was attended by 66 strong delegation that drew members from elders, clergy, traditional leaders, intellectuals and numerous eminent personalities from amongst all the communities in all the regions of the country. Officials from the Academy for Peace and Development (APD) led by Social Reconciliation Pillar Buroa office head Mr. Omer Adam Yusuf in a reconciliation mission to El-Afweyn district have met with various stakeholders of the warring sides and other envoys as well as Somaliland government officials attending the month-long reconciliatory talks in El-Afweyn district. 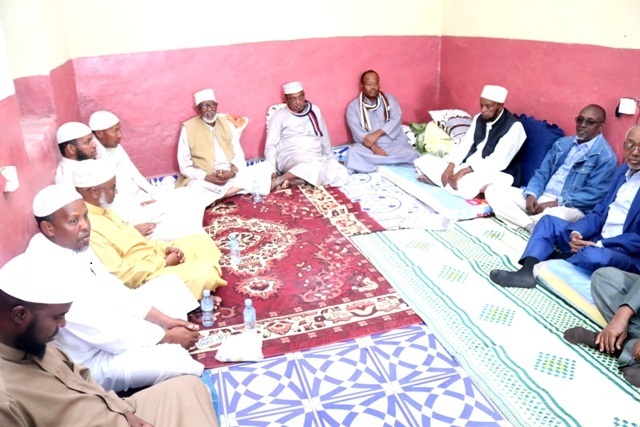 Somaliland’s Interior Minister Mr. Mohamed Kahin Ahmed has lauded the Academy for Peace and Development’s efforts during the reconciliatory talks in El-Afweyn district. “First of all I would like to thank the Academy for Peace and Development (APD) for their immense efforts during the reconciliatory talks. As you may be aware of the conciliatory efforts were intended to bring an end to the almost a couple years long rivalry whose sporadic insurgencies had spates of incidences that claimed dozens of lives, maims, injuries and assorted casualties. The 66 strong delegation attending the talks comprises elders, well known religious clergy, traditional leaders and intellectuals from amongst all the communities in all the regions of the country” Interior Minister said. Similarly, officials from the Academy of Peace and Development (APD), have met with the various stakeholders in the community of El-Afweyn district, especially teachers, students and women.The APD’s meetings with the various stakeholders of El-Afweyn district communities centered on the impacts of the violence and how the violence affected their lives, especially social services such as education. The reconciliation is part and parcel of homemade traditional landmark whose trade as perfected in Somaliland has made the nation what it is today; its peace-meal pacification processes having made the country a household name envied by many nations.Finally, the Academy of Peace and Development (APD) organized training for women in the El- Afweyne district to participate in community mobilization for the implementation of the decisions made by the Elders. The Academy for Peace and Development (APD) was established in 1998 as a research institute in collaboration with Interpeace. The Academy for Peace and Development (APD) is legally registered as an organization under the Ministry of National Planning and Development.Since its inception, APD core activities have mainly focused in peace-building using Participatory Action Research (PAR) methodology. The organization has brought together representatives from different sectors of society to identify priorities in the process of rebuilding Somaliland. The Academy has been instrumental in facilitating dialogue on issues such as peacebuilding, and good governance.APD is committed to promote democracy and consensus decision-making at the policy level by encouraging and supporting participation of citizens in the affairs of their lives. In this regard, the goal of the Academy is to empower Somalil and communities to adopt peaceful changes by providing a neutral venue to identify their issues and set priorities for response.